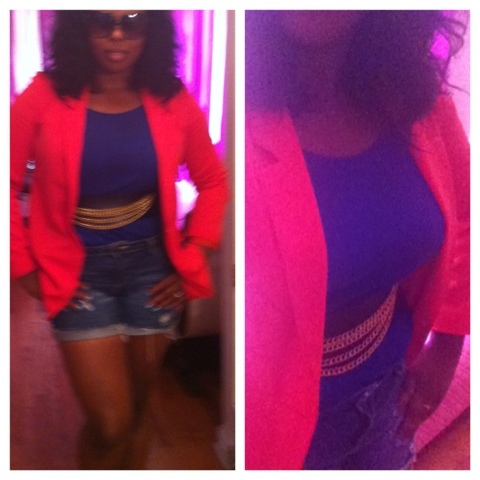 It’s been really hot in the Lou lately and the heat has translated to my show look today! Check it out! 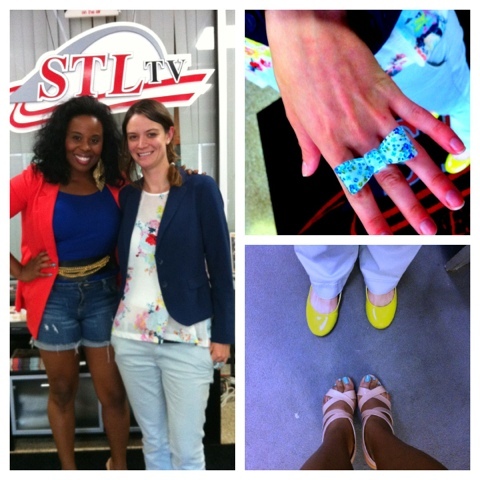 The producer of Stltv live look so cute today with mint pants,a floral top, navy blazer, neon shoes and not to mention her ring from Paris!!! So cute!! !